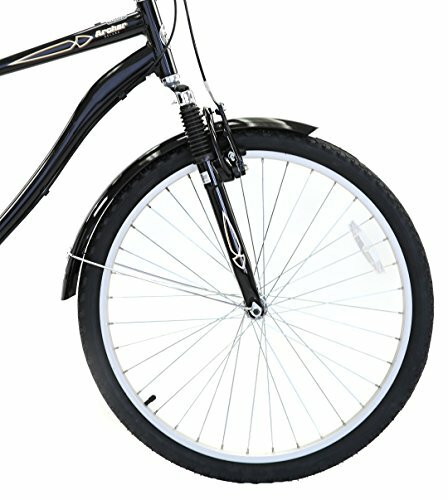 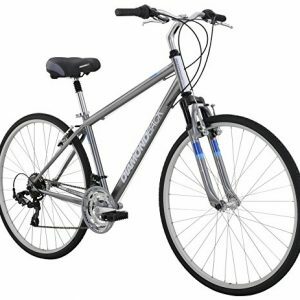 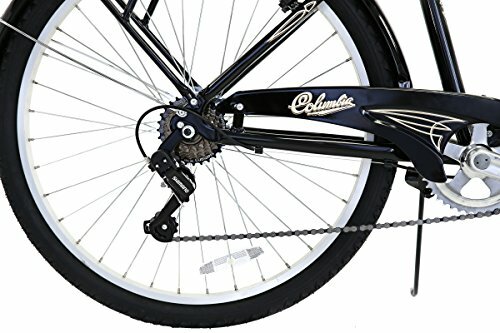 The Columbia Archer Deluxe Retro Hybrid Bicycle is manufactured from quality aluminum steel for long-lasting durability. 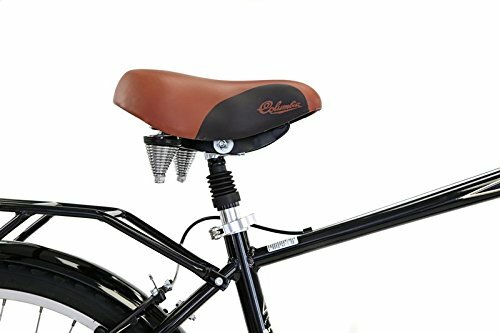 This authentic Columbia Archer Deluxe design includes an embossed saddle and hand grips along, just like the original. 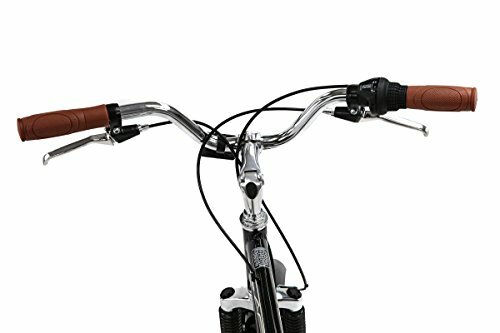 Accessorized with back and front alloy linear pull brakes and a Shimano 7 speed gear twist shifter. 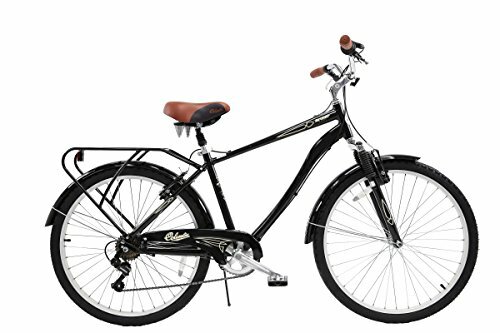 Featuring upright geometrics both the saddle (seat) and the style of this bicycle are built for comfort and ease. 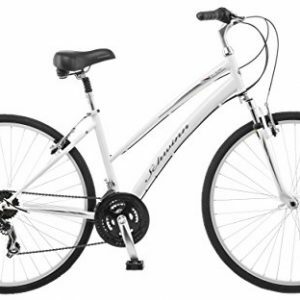 Equipped with wide, 26-inch tires on an aluminum rim, designed to maximize stability and control, allowing the rider to get the most out of their excursion. 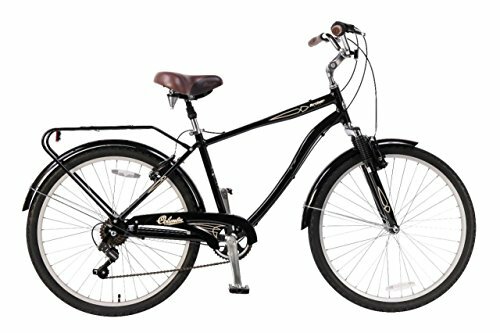 A sturdy steal rear cargo rack, front and rear fenders and a kickstand are also included in this model, no plastic here!